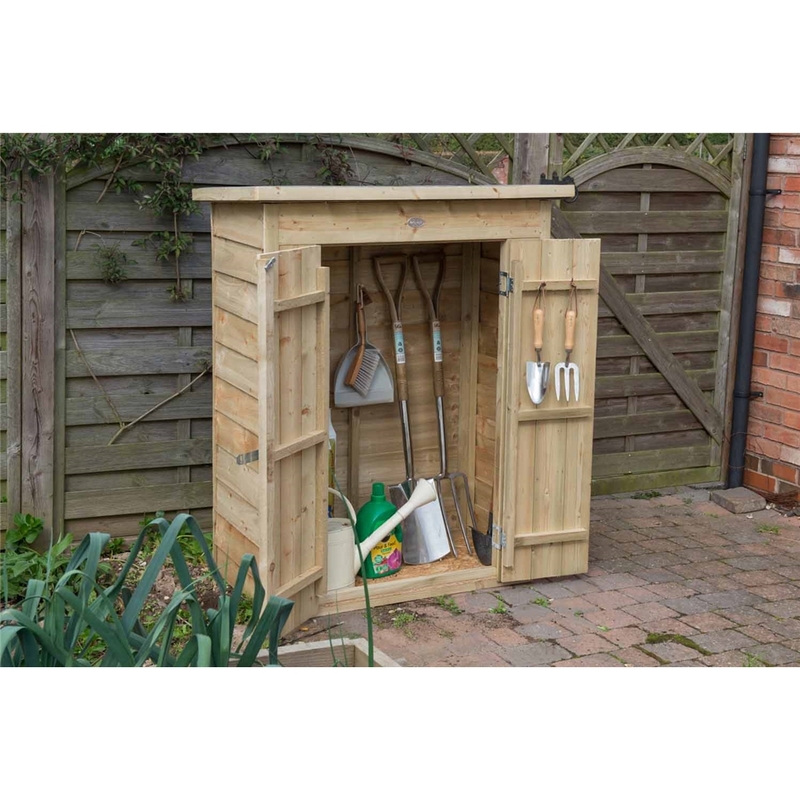 This is a versatile garden storage box which can be used to store away outdoor equipment or children's toys. 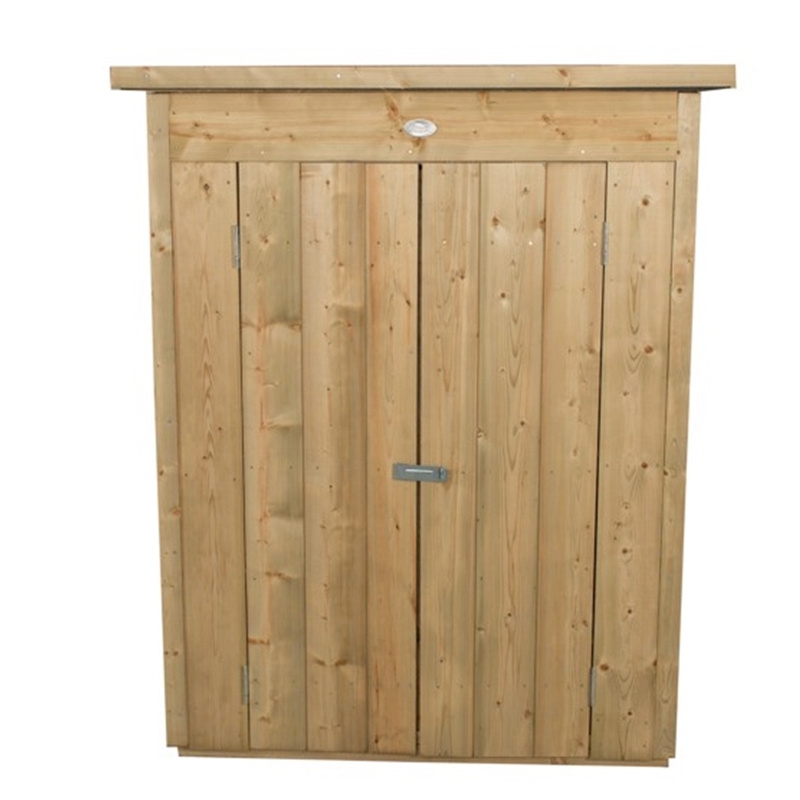 The product has a 600 litre capacity with a pent roof design, the height of this garden box is ideal for storing forks, spades and brooms. The design of this garden store allows you to assemble the pent roof sloping forwards or backwards to suit its location. With its compact footprint it can be placed near front or back doors, on a patio or in any garden setting due to its attractive design. 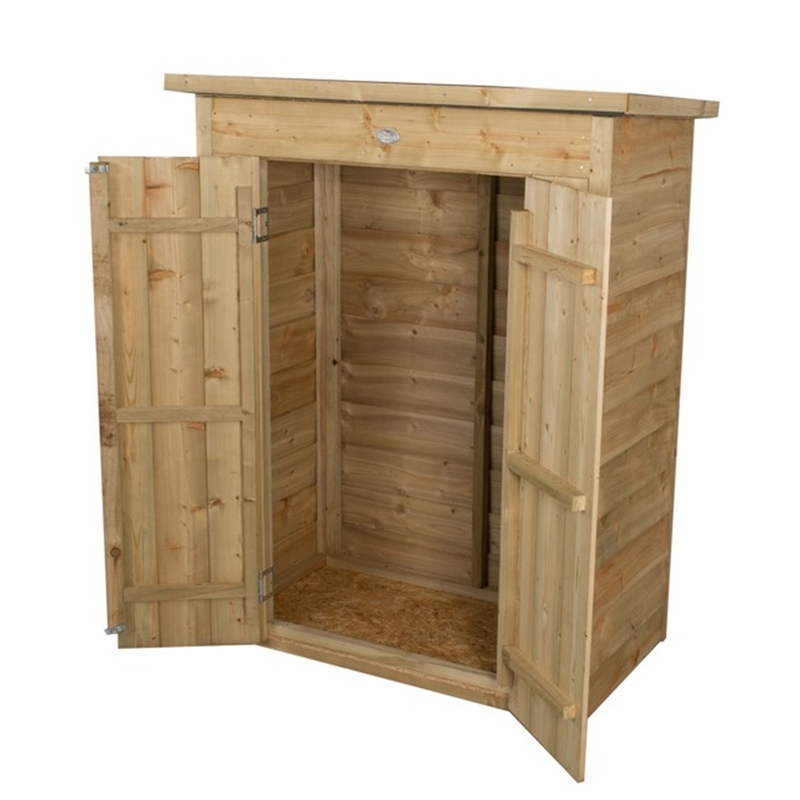 It is manufactured with traditional overlapping pressure treated timber boards and shiplap tongue and groove front panels with double doors. The storage box is finished with a decorative felted roof and smooth planed barge boards with additional hidden door hinges on the doors for added security. The doors also includes a plate hasp and staple which allows you to add a padlock onto to secure your garden store.